To make this blanket, you will need approximately 500 grams of 8 ply (double knit) yarn. I used three different yarns, one a solid colour, and one a variegated baby yarn with pinks, blues, yellows and green for the main part of the blanket and a toning solid for the border. Most of the blanket is knitted in squares 45 stitches wide by 60 rows with a garter stitch border on each block of 6 rows top and bottom and 6 stitches on either side. 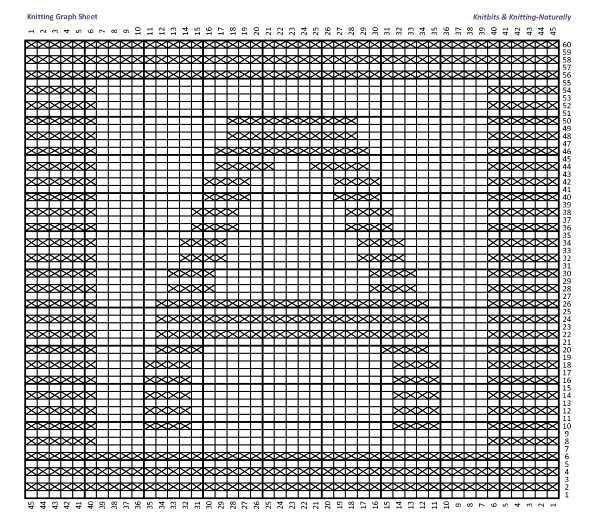 Only three blocks have a garter stitch pattern in the centre of the block (the A, B, and C blocks) so it is relatively easy knitting. And you get to choose which method of construction you prefer. My method of choice is modular - I knit the blocks together as I go so there are no seams and very few loose ends to weave or sew in when the blanket is finished - but you can knit individual blocks and sew them together if you prefer. 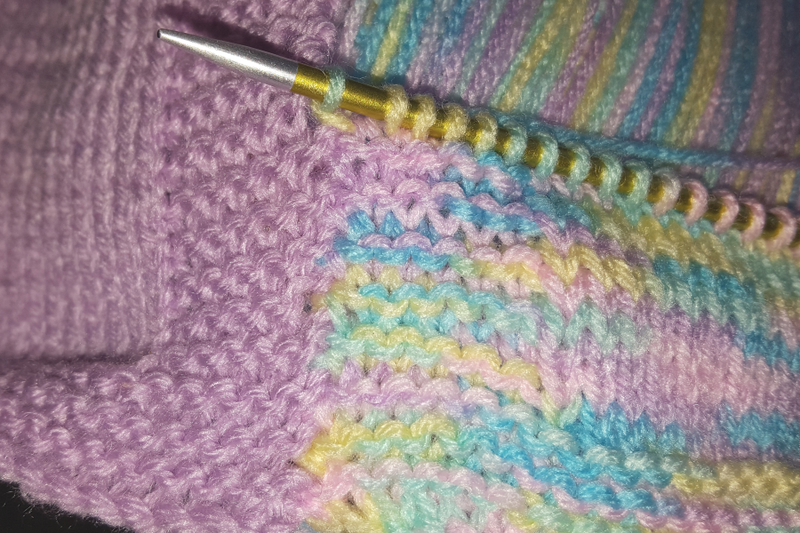 To make this blanket you will need a pair of knitting needles, I used 3.50mm needles (they were new - wanted to try them out) but I would probably recommend that you use 4.00mm needles with 8 ply wool with the standard tension for that weight of wool (22 sts and 30 rows to 10 cm). So your squares should be approximately 20 centimetres square. You may have to adjust the needle size if your natural knitting tension does not match (or at least come close to) the tension specified. But as it is a blanket, it is not as critical as it would be for a garment like a sweater. 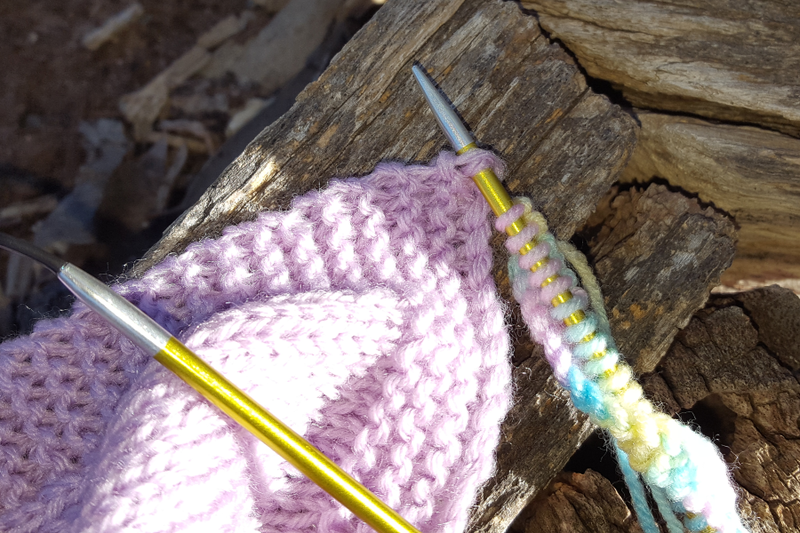 A knitters sewing needle is also handy for sewing in loose ends ore where you have joined in a new ball of yarn. If you are planning on using the modular method of construction, you will also need four or five stitch holders. The baby blanket is quite easy to knit, as you can see from the photo further down the page. The pattern is just interesting enough so that I didn't get really bored but simple enough that I don't need to concentrate to much while I am knitting. The finished size of this blanket is approximately 100 cm wide by 140 cm long and should fit most standard sized cots. To achieve that finished size, your tension needs to be 22 stitches and 30 rows per 10 centimetres. You can find out more about knitting tension squares on my page on how to knit a tension square. Cast on 45 stitches with 1st colour. 7th row: Knit across the row. 8th row: k6, p33, k6. Repeat the last two rows another 23 times. 55th - 60th rows: Knit across the row. For normal construction: Cast off loosely. Make another 15 blocks in this colour and 16 blocks in the 2nd colour. Cast on 45 stitches in the 2nd colour and knit 1 row. Insert the tip of the right hand needle into the first stitch on the first row on your first block and pull through the yarn to form a stitch. Lift the last stitch on the 2nd block up and over the stitch you just formed. Turn, sl 1 sts and knit to the end of the row. Repeat this process to join the two blocks as you work, slipping the first st on every row and following the pattern set for the first block (i.e., 6 rows garter stitch, 48 rows with the 6 stitch garter stitch border at each side of the block and 6 rows garter stitch). 61st row: Knit across 45 stitches on the 2nd block, knit the 45 stitches from the first block off the stitch holder (this 1st row of the 3rd block), turn sl 1, knit 44 sts, then place 45 stitches from 2nd block onto a stitch holder. Turn and work the block on top of the first block, starting with the 3rd row to match. At this point, your bottom row is complete. To start row 6, knit the 45 stitches from the 1st block in row 5 off the stitch holder and join to the 2nd block of the same row. 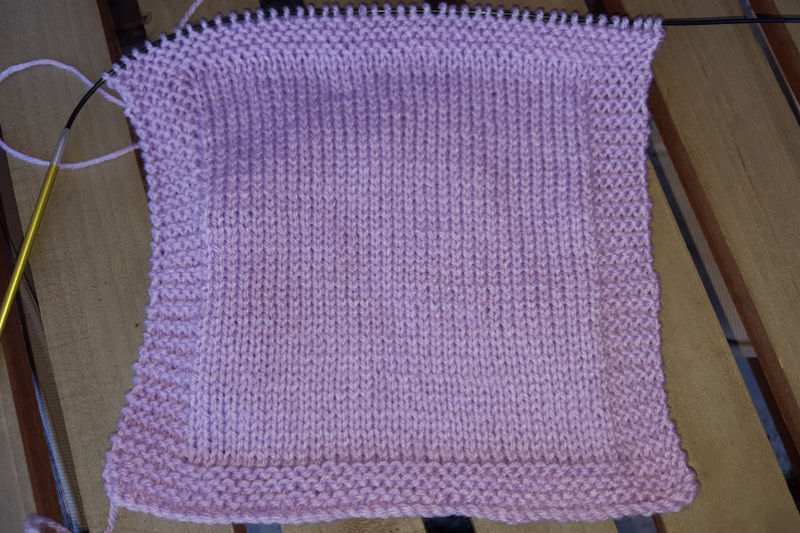 From this point on, all of the blocks you join will be plain stocking stitch with a garter stitch border. 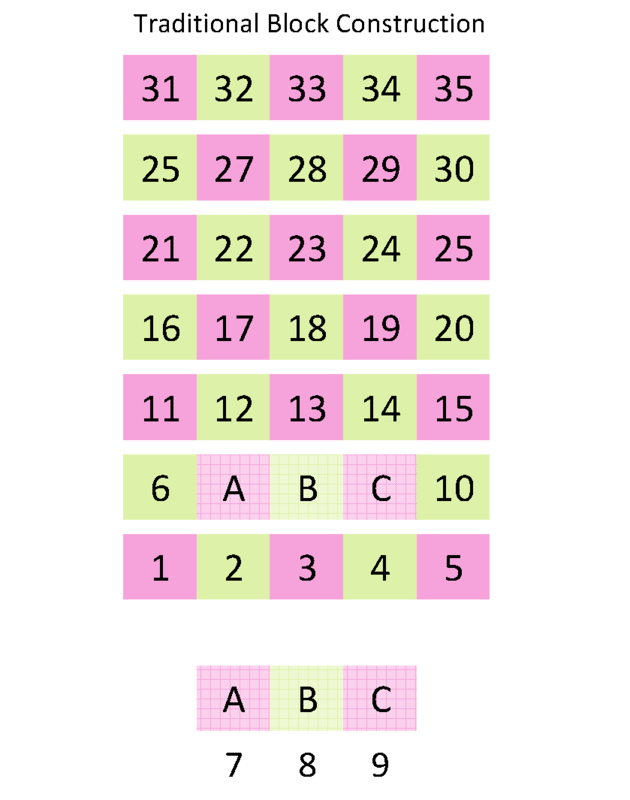 The three ABC blocks are knitted using the knitting charts below. 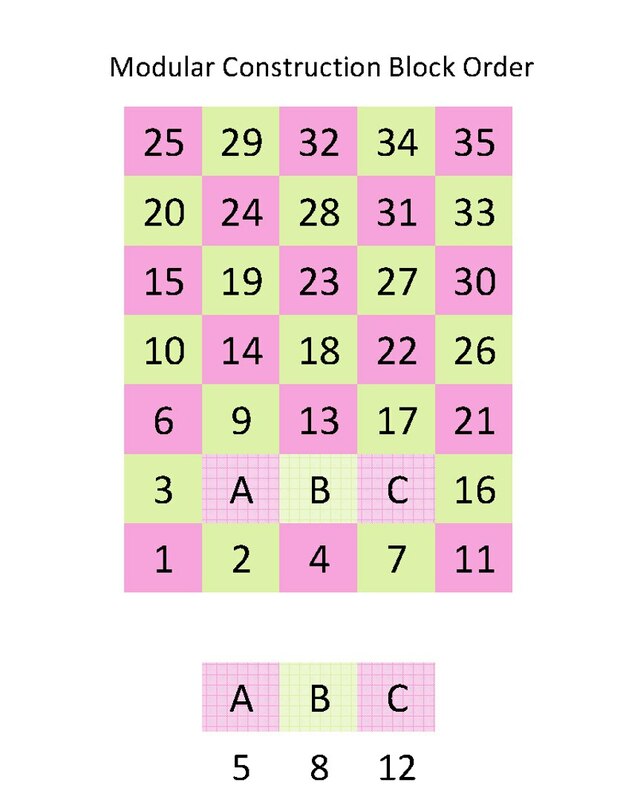 Each square with an X in it represents a knit stitch on a purl row which creates the shape of the letter on the right side of the knitted block. All odd rows (right side rows) are knit rows, and all even rows are pattern rows. 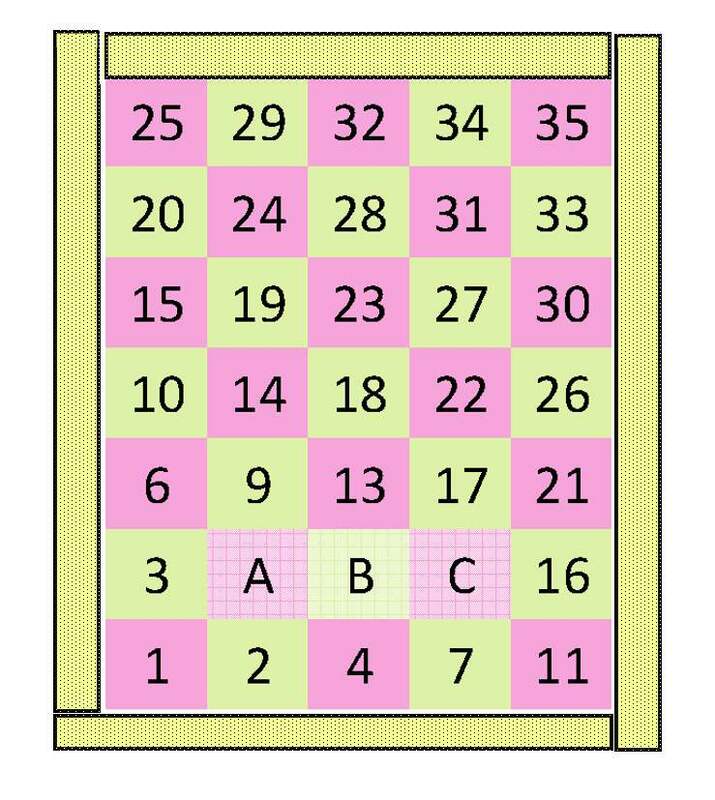 The odd rows are read from right to left and the even rows are read from left to right. Knit 6 sts, purl 4 sts, knit 4 sts, purl 17 sts, knit 4 sts, purl 4 sts, knit to end. Knit 6 sts, purl 4 sts, knit 4 sts, purl 25, knit to end. 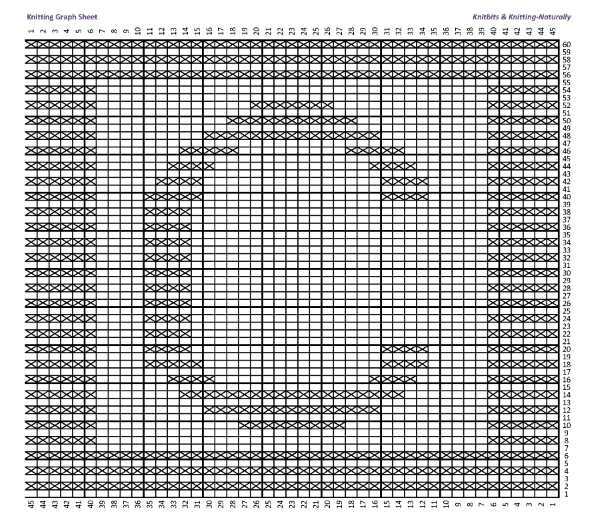 Download the Knitting Charts Here! Knit across all 225 sts at the top of your blanket (off the stitch holders) and work 24 rows of Garter Stitch. Cast off loosely. Turn your blanket and pick up and knit approx. 236 stitches along the left hand side (with the right side of the blanket facing you). Knit 23 rows in garter stitch, cast off loosely. Turn your blanket and pick up and knit approx. 237 stitches across the bottom of your blanket. Knit 23 rows in garter stitch, cast off loosely. Turn your blanket again and pick up and knit approx. 253 stitches up the right hand side of your blanket. Knit 23 rows in garter stitch, cast off loosely. 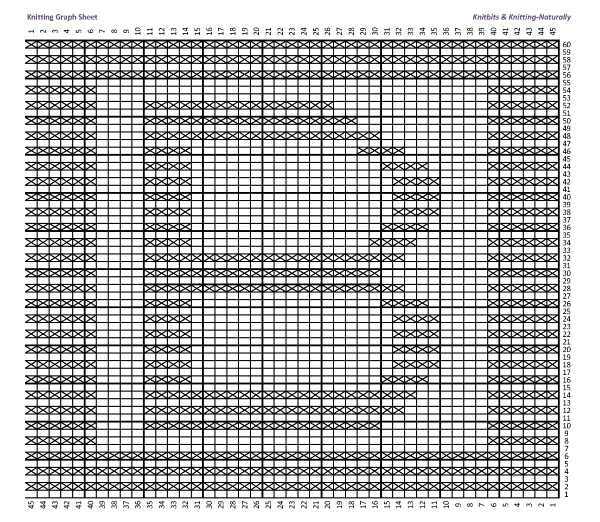 Just in case you would like to print out a copy of this ABC Baby Blanket pattern, I have created a pdf version of it that you can download.